US-Pakistan Military Leaders Secretly Decide to Kick Zardari-Gilani Tyranny Out of Power? Muscat, Oman, 23 February 2011 (Stars and Stripes) - Several of the most senior leaders of the U.S. military, the Afghanistan War, and the Pakistani armed forces held a daylong secret meeting Wednesday [23 February 2011] at a secluded luxury resort along the Omani shores of the Persian Gulf. One U.S. official in attendance described the meeting as "very candid and cordial, and very productive discussions." Sunburned European tourists splashed about just yards away from a closely guarded conference room in which US Admiral Mike Mullen, Chairman of the Joint Chiefs of Staff; US General David Petraeus, Commander of International Security Assistance Force (ISAF); US Admiral Eric Olson, Commander of U.S. Special Operations Command; and US Marine Corps General James Mattis, Commander of U.S. Central Command, met with [CIA Actor] General Ashfaq Parvez Kayani, Pakistan's Chief of Army Staff; and Major General Javed Iqbal, [Pakistan Army] Director General of Military Operations; Brigadier Muhammad Saeed of the Pakistan Army]. "I was very grateful for [CIA Actor] General Kayani's time and the opportunity to continue the dialogue and the relationship at this very critical time in the effort," Mullen told reporters traveling with him. The meeting, planned several months ago, is the third such gathering of high-level American and Pakistani officials since August 2008 to discuss the [illegal] war, according to a military official in the U.S. party. "I was pleased to have the opportunity to discuss with American officers the progress we have made fighting [Pakistanis] in our country and to offer them my thoughts about how our two sides might better cooperate," [CIA Actor] Kayani said, in a statement released Wednesday by Pakistan's military. "Pakistan's [mercenary/rented] soldiers have fought bravely [against Pakistani and Afghan civilians/ citizens for American dollars, British pounds and foreign money] and accomplished much at great cost. We must honor those sacrifices by making sure our military operations are understood." Both sides gave operational updates and emphasized the need for better cross-border communication, information-sharing and physical infrastructure development, such as roads, according to both parties. With attention focused on the [Asian] region's uprisings, Mullen is on a long-scheduled Persian Gulf tour that also has touched down in Saudi Arabia, Qatar and the United Arab Emirates, with plans to visit Djibouti, Bahrain and Kuwait before returning to Washington. U.S.-Pakistani relations on the whole have improved on many fronts since 2009. In the past two years, the Obama Administration and military leaders have praised Pakistan for sending 140,000 [rented/ mercenary Pakistani] troops to fight the [civilians/citizens of Pakistan and Afghanistan], "terrorists" and other insurgent groups along its border regions with Afghanistan. But in 2010, Pakistan stalled its advances citing heavy losses and needing time to renew its [mercenary/rented] forces. Meanwhile, the U.S. has increased its use of [unlawful] drone strikes to kill [innocent Pakistanis] inside Pakistan. The strikes, however, remain largely unpopular among Pakistanis. An editorial in Pakistan's [pro- Zardari-Gilani Mafia] "Daily Times" questioned the efficacy of imprecise [illegal] drone strikes, concluding: "The political fallout of blunt attacks will not achieve the purpose of winning hearts and minds of the [Pakistani] people in the counter-insurgency [or imperialistic terrorism] efforts of the U.S."
Additionally, relations between U.S. and Pakistani intelligence services are at their lowest in years, to the point of missing chances to target senior [Pakistanis and Afghans], The [pro-Zionism] Wall Street Journal reported on Friday. Any deterioration could endanger U.S. troops who frequently confront Pakistan-based [Pakistanis] and insurgent [freedom] fighters sent into Afghanistan. Pakistan's Inter-Services Intelligence (ISI) has stopped giving US CIA drone operators information to target [innocent Pakistanis] inside Pakistan, according to the [pro-Zionism] Journal, including those with the notorious [Zardari-Gilani] Haqqani network the ISI has long supported. In December , US CIA's station chief ["Jonathan Banks"] was outed publicly, forcing him to leave Pakistan. And this week, tensions heightened further as it was revealed former [US Army] Special Forces soldier Raymond [Allen] Davis, who is accused of shooting two Pakistani men in Lahore [Pakistan], he said were trying to rob him, was working for the US CIA at the time. [US War Criminal] President Barack Obama and other U.S. officials [falsely and fraudulently] insisted he was a [US] diplomat in efforts to win his release. Moreover, in November , news accounts of U.S. diplomatic cables revealed by WikiLeaks confirmed small numbers of U.S. special operations forces had been operating on the ground inside Pakistan's borders [with the illegal authorization of CIA Actor Asif Ali Zardari, CIA Actor Yousuf Raza Gilani and CIA Actor Abdul Rehman Malik]. In [US] Congress last week, [US War Criminal Robert Michael] Gates said Pakistan is a "mixed picture....and it is something we just need to keep working at." Mullen, at the same hearing, praised Pakistan's [mercenary/rented] military performance, but worried about many other factors from the struggling economy to the stream of [Pakistanis and Afghans] flocking there. "The vector is going in the wrong direction overall for the country. We are very unpopular there," he said. "...I am as concerned as I have ever been." Mullen, for his part, has made it a personal mission to try and bend Pakistan toward U.S. views, making more than 20 trips to visit Kayani during his term as the top U.S. military officer and senior military advisor to the President. "The Chairman believes this kind of dialogue is vital to improving coordination and communications between our two militaries," the official said. "He believes [the Pakistan (rented/mercenary) military] continues to do a remarkable job battling [Pakistanis] inside their borders." WASHINGTON (Reuters) - Two U.S. citizens with diplomatic status were quietly withdrawn from Pakistan after being involved in a fatal car accident last month while trying to help Raymond Davis, a CIA contractor being held by Pakistani authorities on murder charges. Two officials familiar with U.S. government activities in Pakistan said the two Americans who left the country worked for the CIA under contract as protective officers. This means they were employed as highly skilled bodyguards, like Davis, for CIA operations officers serving in Pakistan. The two Americans who left Pakistan have not been otherwise identified by U.S. or Pakistani authorities. The CIA declined to comment. According to a translated Pakistani police statement obtained by Reuters, the two Americans got into the car crash while trying to go to the aid of Davis, who U.S. sources say claims he shot dead two Pakistanis on a motorcycle when they tried to rob him at gunpoint as he was driving in Lahore. The police report says the vehicle used by the unidentified Americans, a Landcruiser belonging to the U.S. consulate in Lahore, drove the wrong way down a one-way street. It struck and killed a motorcyclist named Muhammad Ibad-ur-Rehman, the report said, and "fled from the scene of the incident." The two U.S. officials confirmed media reports the two men involved in the fatal accident were working and living in the same building in Lahore as Davis. They said all three men were working on similar security assignments for the CIA. Pakistani officials and news reports have said items recovered from Davis included a telescope, a 9mm pistol and a camera containing pictures of bridges and religious schools known as madrassas. Current and former U.S. national security officials familiar with the role of CIA "protective officer" contractors say it would be routine for them to do reconnaissance missions to chart safe travel routes and spot security threats. U.S. officials deny media reports that Davis was involved in some kind of undercover counter-terrorism operations. They also deny reports from Pakistan suggesting that Davis' assailants had some link to the Inter Services Intelligence directorate, Pakistan's principal intelligence agency. Elements of the ISI have been involved in secretly supporting U.S. counter-terrorism operations in Pakistan, including a long-running campaign to attack suspected militant camps using missiles fired from unmanned drone aircraft. ISLAMABAD, Pakistan – Pakistan's ISI spy agency is ready to split with the CIA because of frustration over what it calls heavy-handed pressure and its anger over what it believes is a covert U.S. operation involving hundreds of contract spies, according to an internal document obtained by The Associated Press and interviews with U.S. and Pakistani officials. Such a move could seriously damage the U.S war effort in Afghanistan, limit a program targeting al-Qaida insurgents along the Pakistan frontier, and restrict Washington's access to information in the nuclear-armed country. According to a statement drafted by the ISI, supported by interviews with officials, an already-fragile relationship between the two agencies collapsed following the shooting death of two Pakistanis by Raymond Davis, a U.S. contracted spy who is in jail in Pakistan facing possible multiple murder charges. "Post-incident conduct of the CIA has virtually put the partnership into question," said a media statement prepared by the ISI but never released. A copy was obtained this week by the AP. The statement accused the CIA of using pressure tactics to free Davis. "It is hard to predict if the relationship will ever reach the level at which it was prior to the Davis episode," the statement said. "The onus of not stalling this relationship between the two agencies now squarely lies on the CIA." The ISI fears there are hundreds of CIA contracted spies operating in Pakistan without the knowledge of either the Pakistan government or the intelligence agency, a senior Pakistani intelligence official told the AP in an interview. He spoke only on condition he not be identified on grounds that exposure would compromise his security. Pakistan intelligence had no idea who Davis was or what he was doing when he was arrested, the official said, adding that there are concerns about "how many more Raymond Davises are out there." Davis was arrested Jan. 27 in Lahore after shooting two Pakistanis. A third Pakistani was killed by a U.S. Consulate vehicle coming to assist the American. Pakistan demanded the driver be handed over, but the AP has learned the two U.S. employees in the car now are in the United States. Davis has pleaded self-defense, but the Lahore police upon completing their investigation said they would seek murder charges. The ISI official told the AP that Davis had contacts in the tribal regions and knew both the men he shot. He said the ISI is investigating the possibility that the encounter on the streets of Lahore stemmed from a meeting or from threats to Davis. U.S. officials deny Davis had prior contact with the men before the incident, and CIA spokesman George Little said any problems between the two agencies will be sorted out. "The CIA works closely with our Pakistani counterparts on a wide range of security challenges, including our common fight against al-Qaida and its terrorist allies," he said. "The agency's ties to ISI have been strong over the years, and when there are issues to sort out, we work through them. That's the sign of a healthy partnership." The ISI is now scouring thousands of visas issued to U.S. employees in Pakistan. The ISI official said Davis' visa application contains bogus references and phone numbers. He said thousands of visas were issued to U.S. Embassy employees over the past five months following a government directive to the Pakistan Embassyin Washington to issue visas without the usual vetting by the interior ministry and the ISI. The same directive was issued to the Pakistan embassies in Britain and the United Arab Emirates, he said. Within two days of receiving that directive, the Pakistani Embassy issued 400 visas and since then thousands more have been issued, said the ISI official. A Western diplomat in Pakistan agreed that a "floodgate" opened for U.S. Embassy employees requesting Pakistani visas. The ISI official said his agency knows and works with "the bona fide CIA people in Pakistan" but is upset that the CIA would send others over behind its back. For now, he said, his agency is not talking with the CIA at any level, including the most senior. To regain support and assistance, he said, "they have to start showing respect, not belittling us, not being belligerent to us, not treating us like we are their lackeys." NATO and U.S. operations in Afghanistan could be adversely effected by a split between the ISI and the CIA. Washington complains bitterly about Pakistan's refusal to go after the Pakistani-headquartered Haqqani network, which is believed to be the strongest fighting force in Afghanistan and closely allied with al-Qaida. The ISI official said Pakistan is fed up with Washington's complaints, and he accused the CIA of planting stories about ISI assistance to the Haqqani network. Relations between the CIA and ISI have been on a downward slide since the name of the U.S. agency's station chief in Pakistan was leaked in a lawsuit accusing him of killing civilians in a drone strike. Those accusations and the naming of ISI chief Shujah Pasha in a civil lawsuit in the United States — filed by family members of victims of a November 2008 attack in Mumbai, India, by insurgents — started the downslide in relations, the ISI official said. To help repair the crucial relationship, the CIA earlier this year dispatched a very senior officer to be the new station chief who was previously the head of the European Division, one of the most important jobs in the National Clandestine Service, the agency's spy arm. The spy agencies have overcome lows before. During President George W. Bush's first term, the ISI became enraged after it shared intelligence with the United States, only to learn that the then-CIA station chief passed that information to the British. The incident caused a serious row, one that threatened the CIA's relationship with the ISI and deepened the levels of distrust between the two sides. At the time Pakistan almost threw the CIA station chief out of the country. While all eyes in the West are currently trained on theongoing revolution taking place in Egypt, Russia’s Foreign Intelligence Service (SVR) is warning that the situation on the sub-continent has turned “grave” as it appears open warfare is about to break out between Pakistan and the United States. Fueling this crisis, that the SVR warns in their report has the potential to ignite a total Global War, was the apprehension by Pakistan of a 36-year-old American named Raymond Allen Davis (photo), whom the US claims is one of their diplomats, but Pakistani Intelligence Services (ISI) claim is a spy for the Central Intelligence Agency (CIA). “The scene could have been scripted in a Hollywood action thriller: For two hours at the end of last month in Lahore, U.S. diplomat Raymond Davis was closely pursued by two visibly armed men on a motorbike. He noticed them tailing him from a restaurant to an ATM, and through the crowded streets of Pakistan’s second [largest] city. They were close by when, in a crowded intersection, Davis produced his own handgun and fired seven shots. “According to records from the Pentagon, Davis is a former Special Forces soldier who left the army in August 2003 after 10 years of service. A Virginia native, he served with infantry divisions prior to joining the 3rd Special Forces Group in Fort Bragg, North Carolina. In 1994, he was part of the U.N. peacekeeping force in Macedonia. His record includes several awards and medals, including for good conduct. Since Davis’s capture the US has exerted extraordinary pressure upon Pakistan to release him, including the American Ambassador warning President Asif Ali Zardari to release him “or else” and the cancellation of all talksbetween these two nuclear powered Nations. Today, according to this SVR report, this most critical of situations became even worse when a Pakistani judge refused to bow to American pressure and ordered a further 14-day detention of Davis, and which sparked an immediate threat from US National Security Advisor Tom Donilon, who told Pakistani envoy Hussain Haqqani that the Obama administration will “kick him out of the US”, close American consulates in Pakistan and cancel President Zardari’s upcoming visit to Washington if their CIA spy wasn’t released immediately. The United States Institute for Science and International Security (ISIS) further reported yesterday that Pakistanappears to be building a fourth military nuclear reactor, signaling its determination to produce more plutonium for atomic weapons. Several other proposals were included within Operation Northwoods, including real or simulated actions against various US military and civilian targets. The plan was drafted by the Joint Chiefs of Staff, signed by Chairman Lyman Lemnitzer and sent to the Secretary of Defense. Although part of the US government’s Cuban Project anti-communist initiative, Operation Northwoods was never officially accepted and the proposals included in the plan were never executed. Though Operation Northwoods had the “approval” of the Chairman and every member of the Joint Chiefs of Staff, it did not have the approval of their boss, President John F. Kennedy (1917-1963), but who barely one year after his outright rejection of this monstrous plan to kill thousands of innocent Americans was gunned down as an example to any future US leader what would happen to them if they dared go against the wishes of the Military-Industrial Complex (MIC). 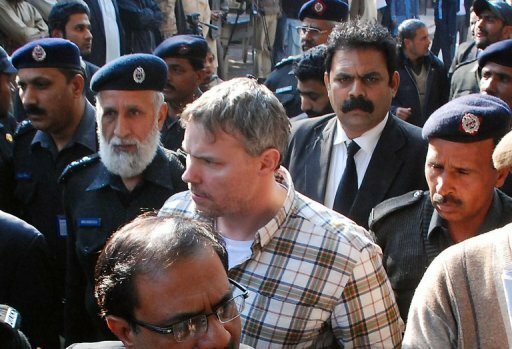 Once again Pakistan is being subject to the usual US imperial arrogance – this time on the Davis case. We have had threats of all kinds simply to get a murderer released and even President Obama has jumped into the fray, imperially claiming Davis has diplomatic immunity! Of course US Presidents, in recent times at least, have been known for their lies with Bush commencing his Iraq war on the WMD lie and Colin Powell brazenly lying to the UN Security Council! So Obama may be following yet another Bush tradition – after his exuberant adoption of the drones’ policy. Such imperial hubris reflected in the threats of aid and meetings’ cut-offs should be seen as an opportunity by the Pakistani state to re-evaluate its whole relationship with the US and restructure it more favourably. If the whole “strategic” edifice is under threat over the issue of Raymond Davis, one really wonders whether there ever was such a relationship to begin with. Take the example of our longstanding strategic ally China: has this relationship ended despite the targeted killings of Chinese in Pakistan? Perhaps if the US could see beyond its imperial arrogance, it would realise that right now its own interests would be damaged far more than the suffering the Pakistani nation may suffer – as opposed to the ruling elite – especially in terms of its so-called “war on terror”! 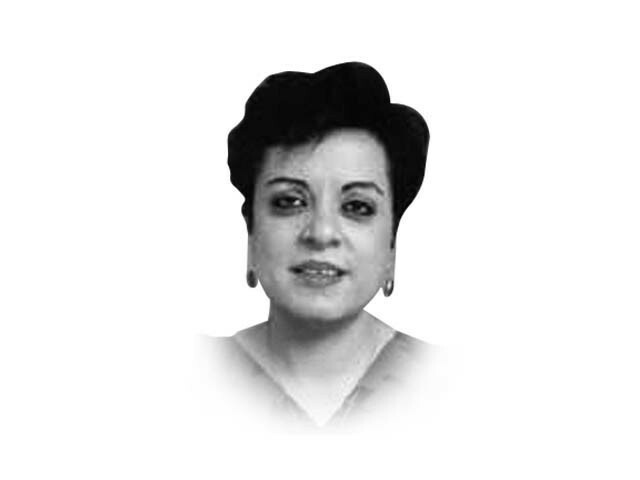 But the US rarely sees reality beyond its blinkered vision and its contemptuous arrogance towards the Pakistani state is so immense that it has chosen not to have a lawyer represent Davis in the Lahore High Court! It is also amusing and ironic to see the Obama Administration, as well as US lawmakers, suddenly accuse Pakistan of not abiding by international law! Given how the US not only flouts international law at every opportunity but refuses to subscribe to accept the International Criminal Court and any International Court of Justice Advisory Opinion that goes against it (Remember the Nicaragua harbour mining case? ), it is hardly in a position to adopt the high moral ground on international law. Only recently, the US violated the Non Proliferation Treaty (NPT) it had put its signature to, when it signed its nuclear deal with India – something Senator Kerry felt he should educate us on in terms of the Vienna Conventions. By going for this deal the US contravened Articles I and III:2 of the NPT, which amongst other restrictions, forbid transfer of sensitive and dual use technology to non-NPT states. However, what is the Pakistan government up to with its Ministry of Foreign Affairs seeking three weeks further to give a simple response to the issue of Raymond Davis’s immunity issue? As if the absurd proclamations and retractions of the PPP office bearers and ministers were not folly enough, we have now had the Punjab Chief Minister state that Interior Minister Rehman Malik had informed him that the Federal Government was going to give Davis diplomatic immunity and would be informing the Lahore High Court of the same. Clearly that too did not happen on Thursday as the case got underway and the nation must be grateful for these small hiccups in the path of total subjugation to the US Will. Unfortunately, the LHC has had to stay the proceedings till the federal government overcomes its habitual pusillanimity when confronted by the US and plucks up the courage to take a clear position on the immunity issue. But why is the Pakistani political leadership so hesitant on the Davis case since whichever legal perspective one takes, there is no ground on which Davis can claim diplomatic immunity. In view of the documents already in the public domain, including the “official visa” – and there is a qualitative difference between his visa and a diplomatic visa – there is no ground on which Davis could be placed in the category of a diplomat. However, even if one were to concede the US argument of his being “Administrative and technical staff” and thereby entitled to “diplomatic immunity” under the 1961 Vienna Convention; for such staff this “immunity” is not applicable to actions outside “official functions” under Articles 31:1c and 37:2. In any case, with the material evidence, including photographs of sensitive military offices, recovered from Davis as well as his pay slip for the period beginning September 2010, he clearly falls into the category of being hired by the US State Department’s Bureau of Diplomatic Security and is in all probability a CIA “stringer” intelligence agent. In fact, as the facts of Davis come to light, it appears he may have deliberately allowed the second car to speed away as it may have had more covert operatives in it. Interestingly, in November 2009 and later in 2010, Davis was caught in restricted military locations in Peshawar and sources state that the Foreign Office verbally asked the US Embassy to remove him from Peshawar. Proper interrogation of Davis is essential now for Pakistan to discover the linkages with a range of US covert activities. While we can sigh with relief over the halt in drone attacks since the arrest of Davis, the cause for this halt is probably the US fear that the location of other stringer agents may be revealed through these attacks. That brings up another interesting aspect of the Davis case: the possibility of charging him with espionage given the massive evidence already available and made public. After all, if the federal and provincial governments manage to persuade, through fair means or foul, the families of the victims to accept “blood money”, Davis still needs to be detained on espionage charges and tried for the same. This is one criminal who must not be allowed to get away with impunity. Most important, though, the Davis case should persuade the Pakistani state to rein in the thousands of US operatives – both CIA and private security contractors – and rid the country of them as soon as possible so that there is no repeat of this lethal incident again on our territory. (The writer is a former editor of The Nation and ex-head of the Institute of Strategic Studies in Islamabad).